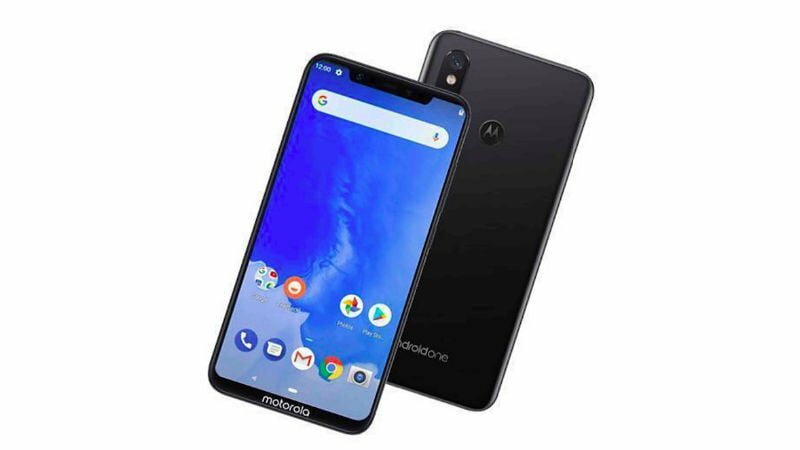 Motorola is reportedly preparing its second Android One smartphone, dubbed as the Motorola One Power. A couple of days ago, the first render of the smartphone was spotted online, giving a glimpse at the design of the device. Now, renowned Motorola smartphone tipster, Andri Yatim has posted an official render of the Motorola One Power along with the key specifications. Going by the specs revealed by the tipster, the One Power will be the successor to last year’s Moto X4 because we will not see a Moto X5 smartphone as the company has already cancelled the development. The Motorola One Power will mark as a new smartphone series launch from the Lenovo-owned brand, the third series in the last couple of years. Speaking about the design of the handset first, the front is entirely dominated by the Full HD+ display with a small chin that houses the Motorola branding. To the top, we have the notch. Yes, Motorola is also joining the notch train with the One Power smartphone, which isn’t a surprise though. The rear of the phone houses the dual camera module, Moto dimple and Android One branding to the bottom. Moving onto the specifications front, the smartphone will have a Full HD+ display, presumably of 6-inch in size. It’s expected to offer over 85% screen-to-body ratio. The handset is said to be powered by the Qualcomm Snapdragon 636 chipset, so Motorola will release two devices with the same chipset this year- the Moto Z3 Play and the Motorola One Power. The phone is said to include a 16MP primary f/1.8 sensor at the back, clubbed with a 5MP secondary sensor with f/2.0 aperture. The secondary sensor could be a depth sensor, as seen on various Motorola smartphones. To the front, we might get a 16MP shooter with f/1.9 aperture and the phone is said to have NFC support too. Being an Android One smartphone, the Motorola One Power will boot Android 8.1 Oreo out of the box. There is no launch date available at the moment, but the phone is expected to make its debut at the Computex 2018 event alongside the Moto Z3 Play. Motorola One Series ?? Not bad. Hopefully this solves Lenovo’s problem with security + software upgrades, updates vis-a-vis Motorola. I don’t think the notch is all that bad.